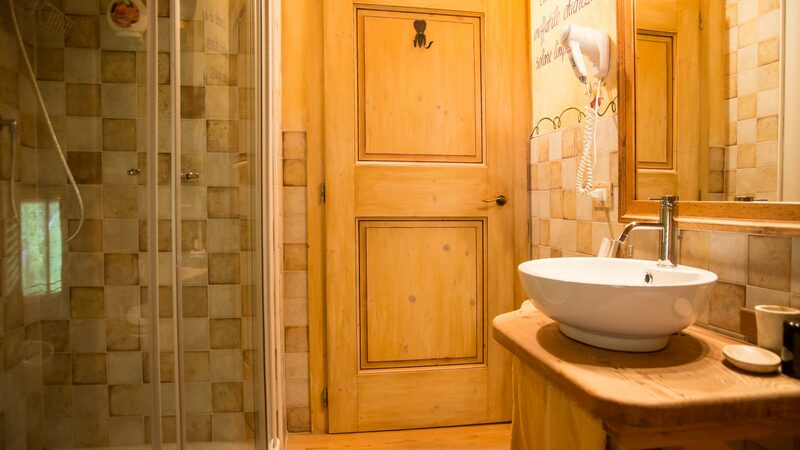 Details do make the difference, and our rooms offer plenty of them! 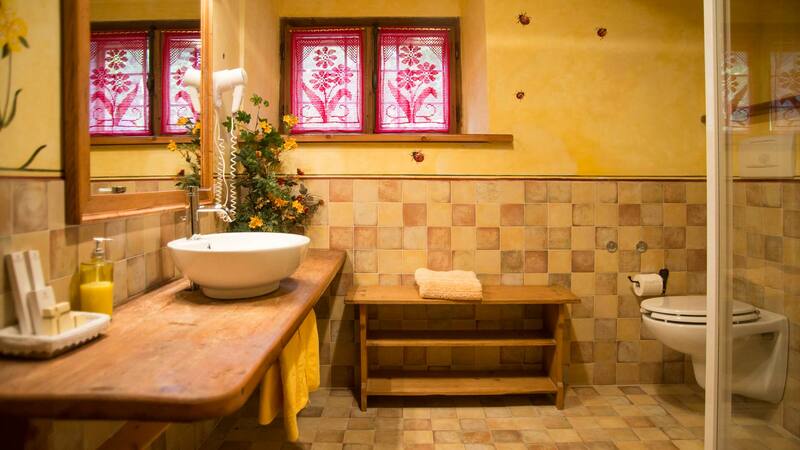 If you are looking for a farmhouse in Spiazzo or a chalet in the mountains of the Rendena Valley, the farmhouse Baite di Pra perfectly answers to all your wishes. 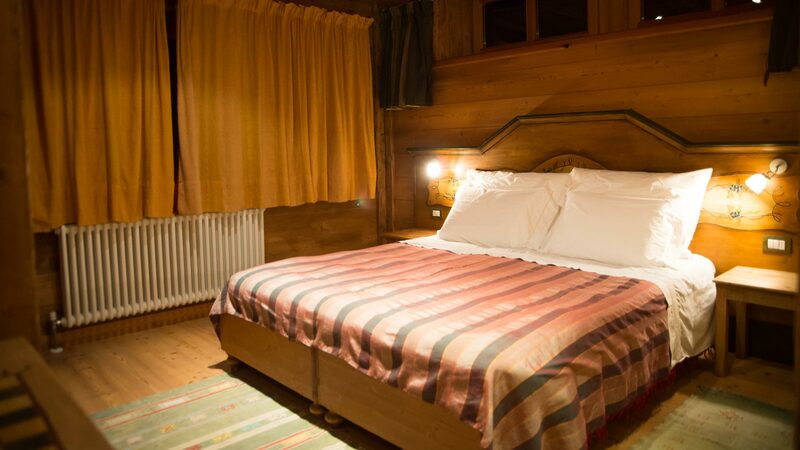 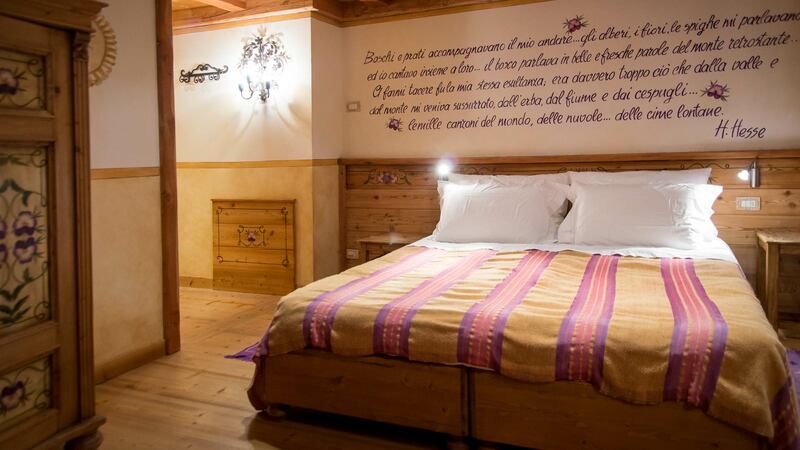 Among the tops of Trentino, only a few kilometers away from Spiazzo in the Rendena Valley, Baite di Pra is the farmhouse in the mountains that you are looking for, for your holiday on the Dolomites of the Brenta. 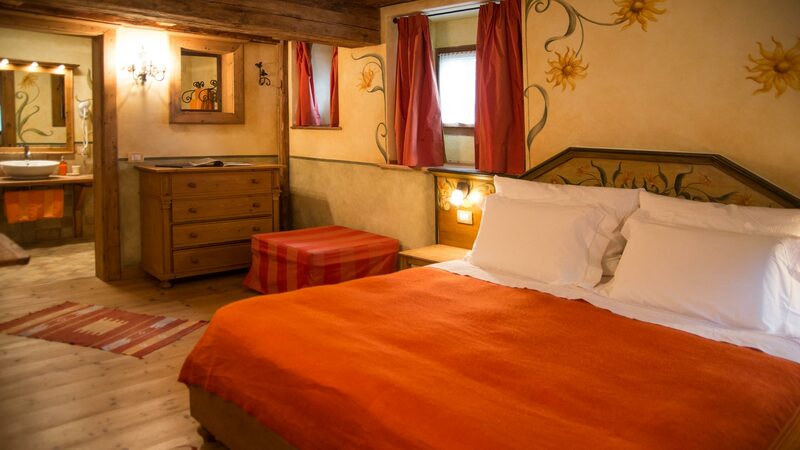 Immersed in the Borzago Valley, natural entrance to the Parco Naturale Adamello Brenta, our farmhouse in Trentino offers you minutely looked after spaces and rooms, where every detail has been preciously valued. 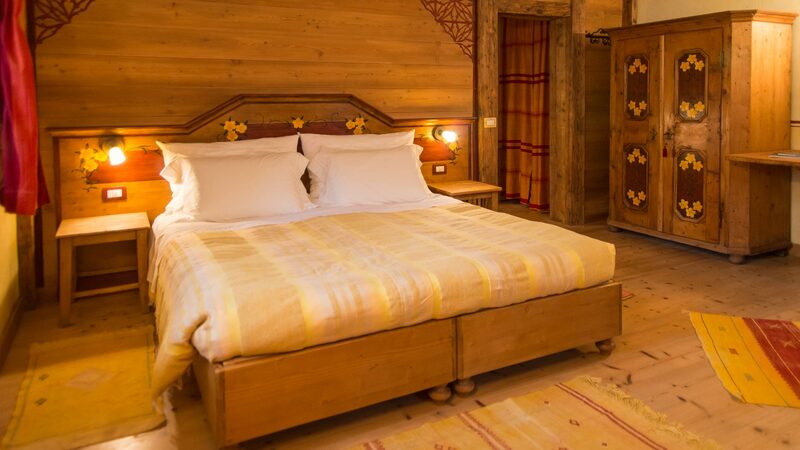 Our seven rooms are a true example of refinement and strong sensory perceptions, secret corners for long needed rest where you will be able to enjoy the sounds of the mountains and the scent of wood. 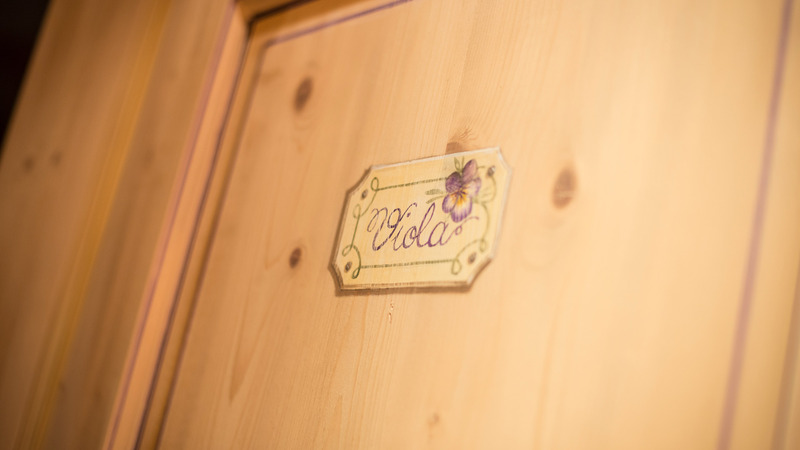 In our farmhouse in Trentino, each room has been carefully personalised so as to offer you a welcoming, warm and refined stay in Trentino. 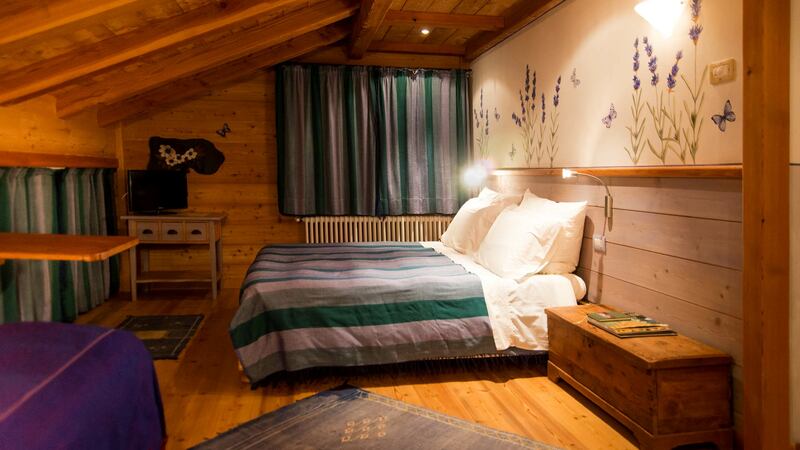 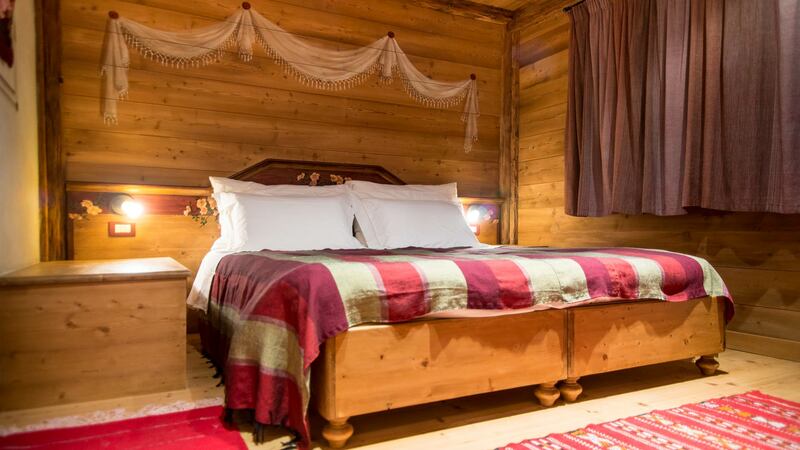 Each room has been furnished with natural wood furniture and are all provided with heating, TV and en-suite. 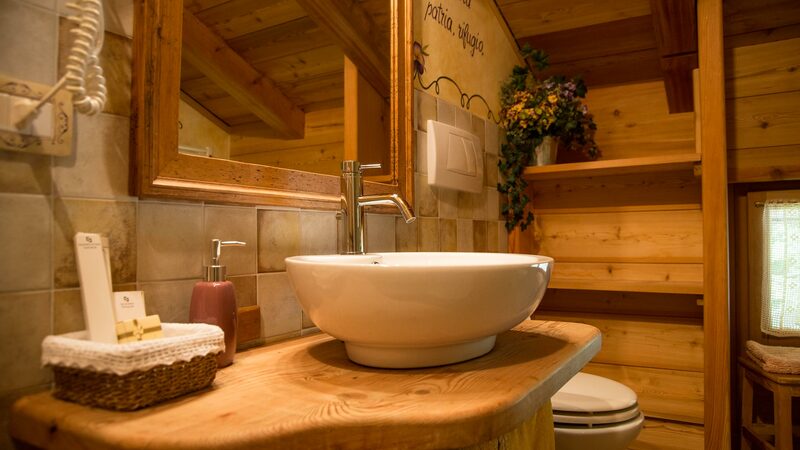 A hydroelectric junction box is currently providing energy, as a power line has yet to be set up. 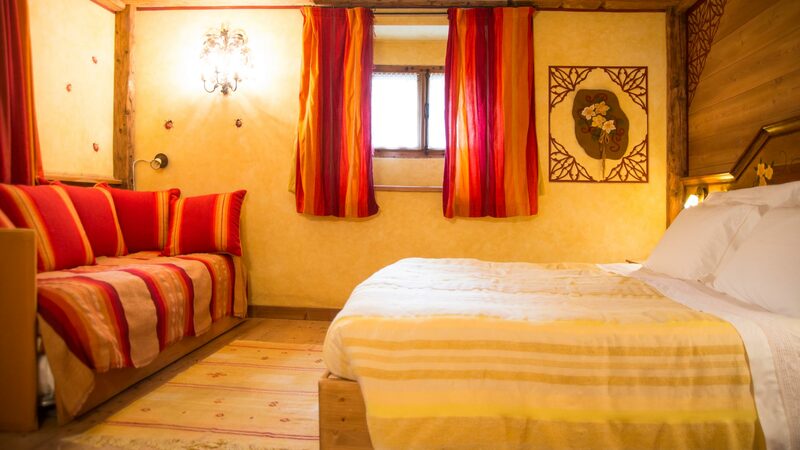 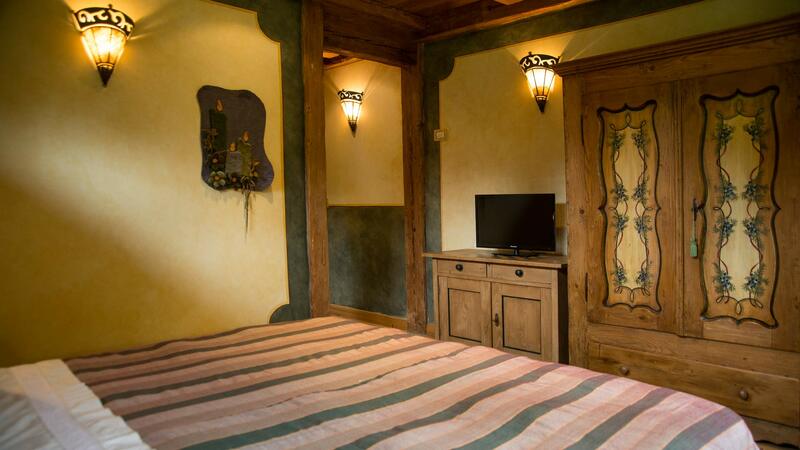 Every room is dedicated to a different rainbow colour and it is furnished following those shades so as to offer you natural rest during your holiday in the mountains of Trentino. 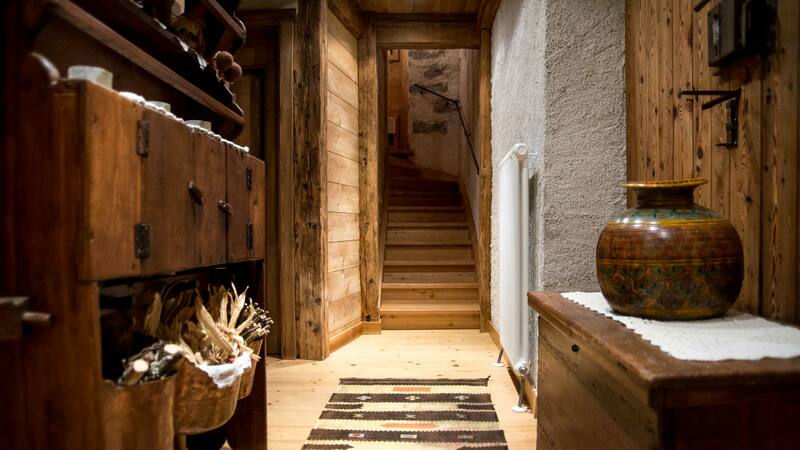 Warm and welcoming spaces, where you can let yourself experience the real contact with genuineness…a journey of the senses for your discovery of the exclusive holiday in the mountains of Trentino. 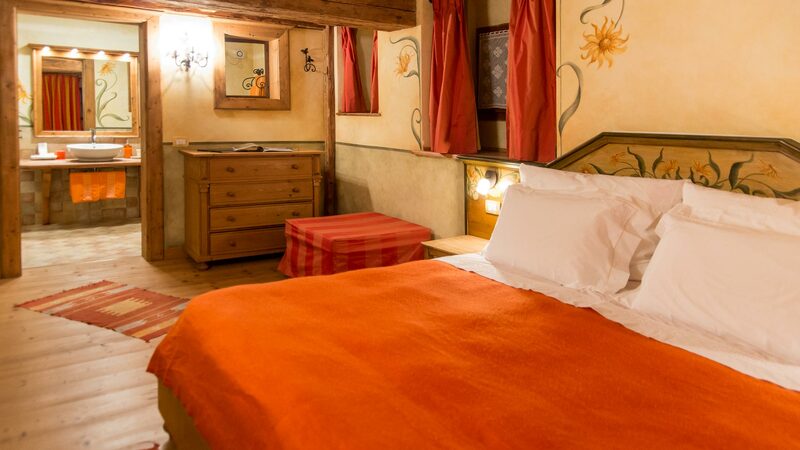 Red - Green - Blue - Red: Our double rooms are small treasures of times gone by, furnished with care and simpicity, where rhythms become slower and you can discover the importance of simplicity. 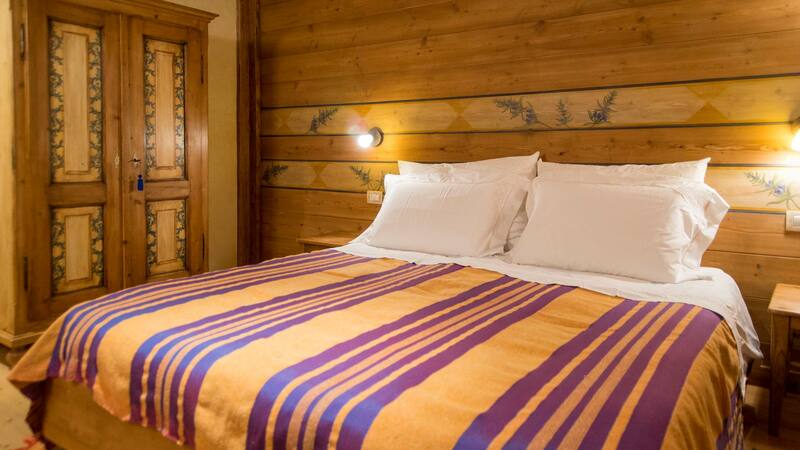 Light Blue - Purple - Orange: Our triple rooms (1 double bed and 1 single bed) offer a relaxing and joyous atmosphere, and wooden furniture which will help you find peace and harmony through nature.